Clase abstracta de brujería is a multi channel installation by Fresno based-artist and City College instructor Ricardo Rivera. Rivera’s expansive practice includes performance, drawing, and immersive installations that blend projections, video, sound, and sculpture. Rivera’s practice involves digitally mapping the gallery to create a three dimensional model of the interior. Small idiosyncrasies of the space, such as an oddly placed clock or alcove, are incorporated into the work. The title of the show could be translated as abstract sort of witchcraft. It refers to multiple alchemical processes: that of transforming the gallery; of labor into art; of extracting images from computer languages; making the invisible visible. A more literal translation might be abstract witchcraft class, suggesting a kinship between teaching and witchcraft. Ricardo Rivera (1970, Sacramento, CA) earned an MFA from the San Francisco Art Institute in 2001, and his BFA also from SFAI in 1997. 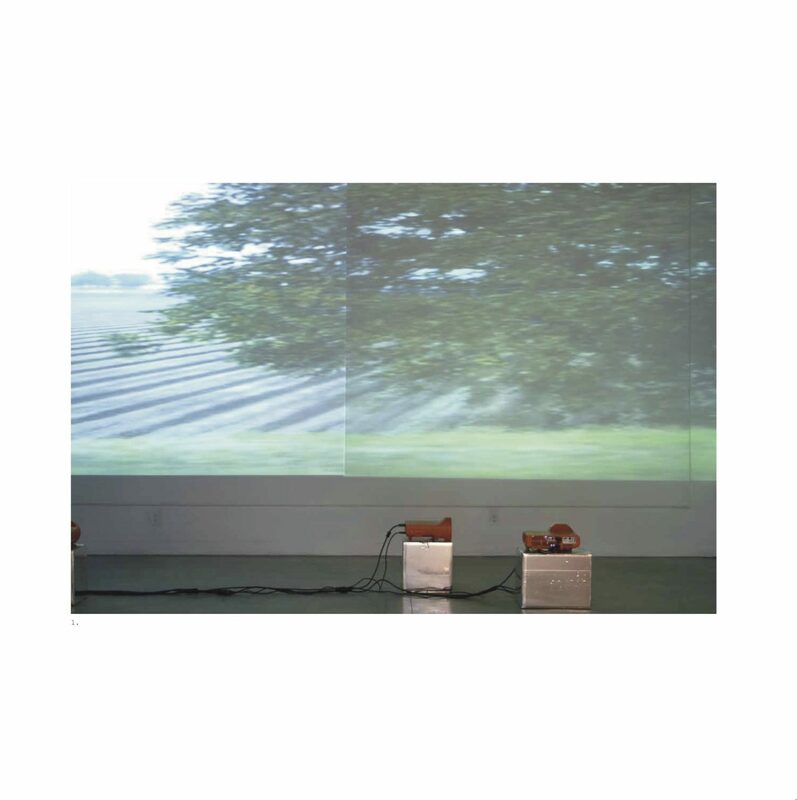 Selected solo exhibitions include Oscillations, Maxxx Project Space, Valais, Switzerland (2016) and Fantasy is A Place Where it Rains: Part II, Mission Cultural Center for Latino Arts, San Francisco, CA (2011). He has participated in numerous group exhibitions both nationally and internationally, including Words Imagined: Co-relations Between Art and Poetry, Sacred Heart University Art and Design Gallery, Fairfield, Connecticut (2017); Paix, Amitié, Limites et Réglements – Tout Ceci Se Trouvait, D’Habitude Á L’Extérieur, Installations in situ, Creative Villages, Leytron, VS, Switzerland (2016); and DRAWINGS | FRIDGES, Greene Exhibitions, Los Angeles, CA (2015). In 2014, he was awarded a research fellowship as a part of Ars Contemporaneous Alpinus, a theoretical and applied research project about the issue of site- specific practices taking the natural environment as a context in Sierre, Switzerland.Before his role at Fresno City College, Rivera taught at several Bay Area institutions, including the University of California, Berkeley, City College of San Francisco, Stanford University, and the California College of the Arts.